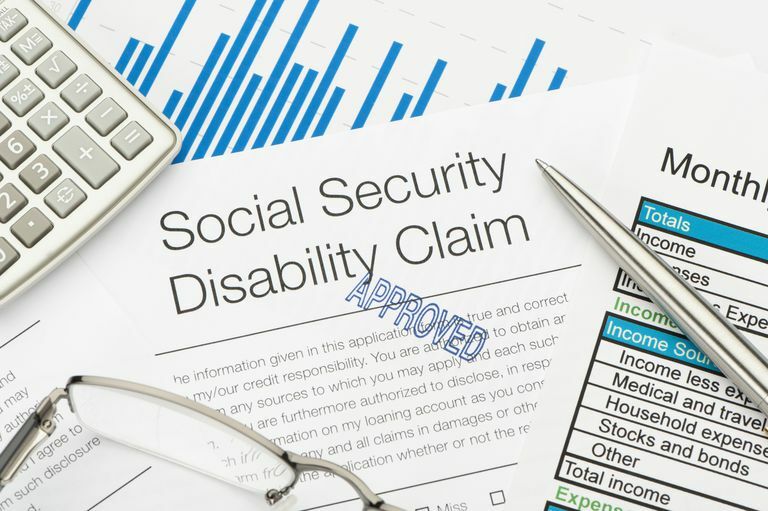 Specific criteria must be met to qualify for Social Security Disability Insurance (SSDI). The Congress of the United States has defined disability, for purposes of entitlement to disabled worker's benefits as the inability to engage in any substantial gainful activity by reason of any medically determinable physical or mental impairment which can be expected to result in death or which has lasted or can be expected to last for a continuous period of not less than 12 months. "The worker's impairment or impairments must be the primary reason for his or her inability to engage in substantial gainful activity although age, education, and work experience are also taken into consideration in determining the worker's ability to do work other than previous work". 1–Are you working? If you are and your earnings average more than $860 a month, you generally cannot be considered disabled. Note: This amount increases annually. Sedentary work is defined as "involving lifting no more than 10 pounds at a time and occasionally lifting and carrying articles like docket files, ledgers, and small tools". Although sitting is primarily involved in a sedentary job, walking and standing should be required only occasionally. Standing and walking should total no more than 2 hours per 8-hour workday while sitting would total about 6 hours per 8-hour workday. Most unskilled sedentary jobs demand good manual dexterity for repetitive hand and finger motions. Light work is defined as "lifting no more than 20 pounds at one time with frequent lifting or carrying of objects weighing up to 10 pounds". A good amount of standing and walking, approximately 6 hours of an 8-hour workday, is usually required for jobs in this category. Good use of hands and arms for grasping and holding is important also. A seated position which involved extensive pushing and pulling of hand or foot controls would be included in the light work category too. "An individual's statement as to pain or other symptoms shall not alone be conclusive evidence of disability as defined in this section; there must be medical signs and findings established by medically acceptable clinical or laboratory diagnostic techniques which show the existence of a medical impairment that results from anatomical, physiological or psychological abnormalities which could reasonably be expected to produce the pain or other symptoms alleged." Arthritis is considered under the Musculoskeletal Body System and has several specific medical listings or categories. More than one million people file for disability benefits with the Social Security Administration each year. The bad news is, nearly two out of three who apply for disability benefits will be denied. The good news is, expert help is available to assist with the process and improve your odds of winning your case. learning the details of the system can be difficult. experts know the details of the process. experts may improve your odds of winning disability benefits.